rose blvd blog: Dessert First! 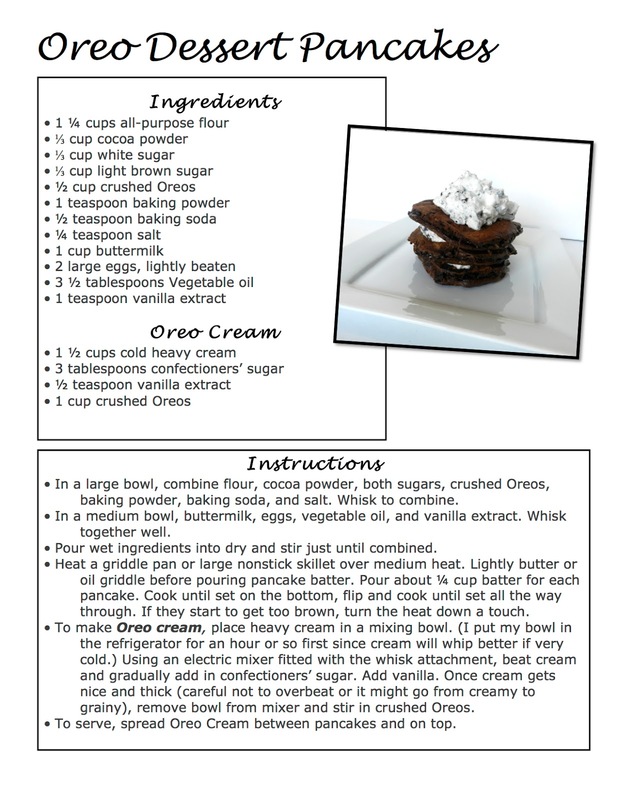 Double Stuffed Oreo Pancakes - probably not suitable for breakfast. Need I say more? I decided to make these pancakes one day after seeing them on spicysouthernkitchen.com. These are not your typical morning pancakes, that's why I decide to call them Oreo Dessert Pancakes, due to the fact it felt like I was eating dessert. These are a fun way to spice up your dessert menu as well. They are very rich but so delicious! Definitely worth a try, even if it is just for a bite. Plus they're a fun way to show off your skills in the kitchen since its all homemade! If you think these are too much you could always make regular buttermilk pancakes and then add the Oreo cream on top. I feel like that would be more acceptable for a breakfast or brunch. I hope you guys try this recipe out! I had a lot of fun making them and they turned out great! If you end up making these, post a photo and tag me! I would love to see them! Thanks for checking it out! Hope you all have a great long weekend & Valentines Day!